March is Fire Prevention Month in the Philippines, however, fire occurrences spread over the year especially during summer time. 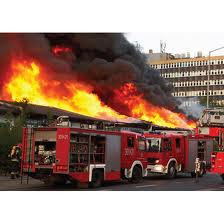 In the 2012 Philippine Disaster Report, fire accounts to 2nd prime cause of disaster with 115 fire incidents mostly in urban areas, mainly poor congested communities. Check your electrical systems. Check for wiring that has been chewed on by rodents. It would be smarter to invest on ceramic insulators for better protection. Look for overloaded circuit breakers, panel boxes or fuse boxes. Teach your kids not to play with matches, candles, and / or cooking burners. Never smoke at home or when you are drowsy, drunk, or on your back as cigarettes may be unattended. Install a fire detector and fire sprinkler at home. Have a fire extinguisher ready. It would be smarter if every individual at home is educated as to how to use the fire extinguisher. Have a game plan among your family members should fire happen. Have a Fire Emergency contact ready and accessible. Never leave appliances on unattended. Be careful with extension cord for a longer period of time. A high - quality cords may reduce your fire risks.